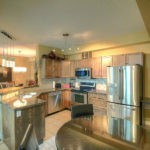 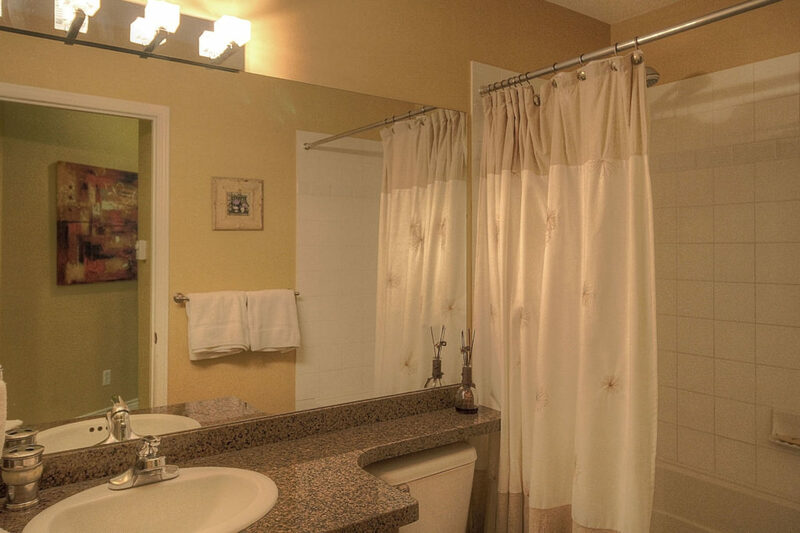 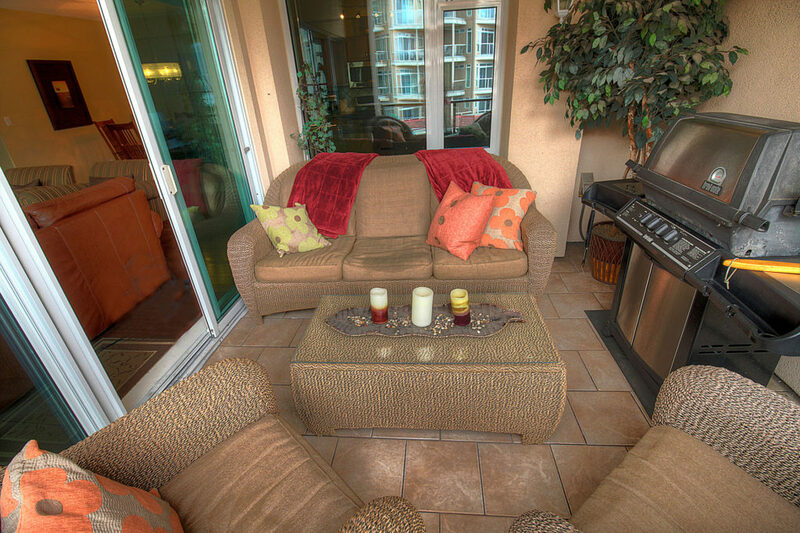 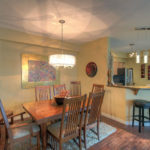 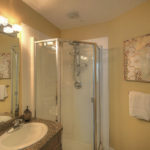 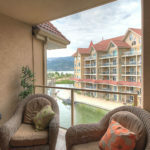 Located in the SUNSET WATERFRONT RESORT, this 3 bedroom (1 is windowless(den)) suite benefits from the afternoon sun on both of decks where you can relax and watch boat being moored on the lagoon, or further afield past Tugboat beach to the lake traffic zipping by. 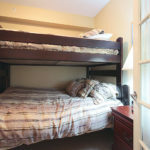 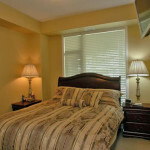 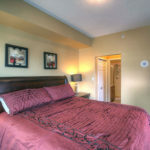 Air Conditioned as standard, this suite is ideal for families or a group of couples – with not only a King bed in the master with ensuite, Queen bed in the second bedroom, there is a Queen over double bunk bed in the Den with a door for privacy. 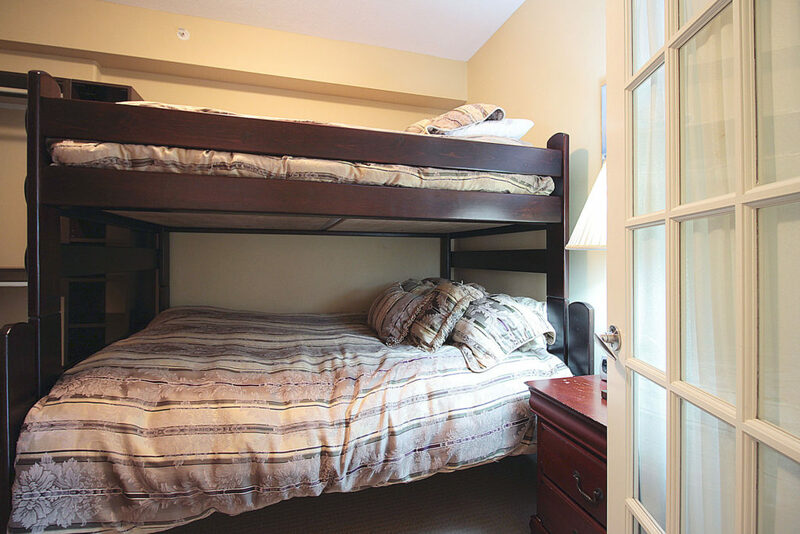 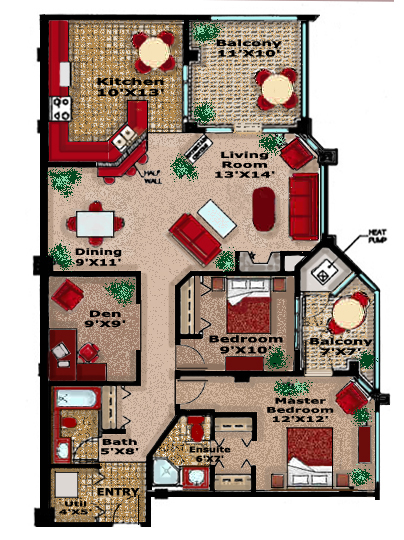 It will provide comfortable accommodations for 8 adults and you will still have room on the living room sofa bed for a child or 2! 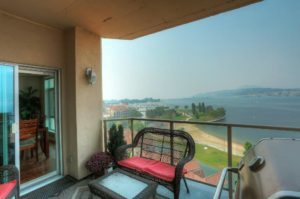 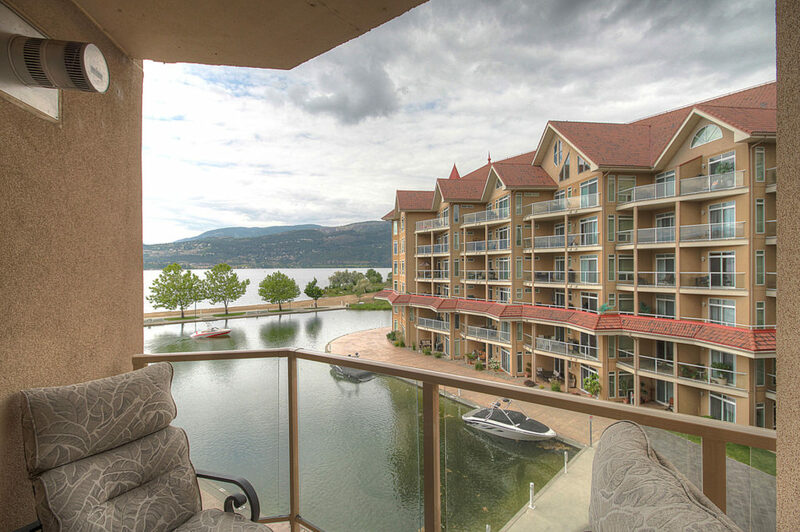 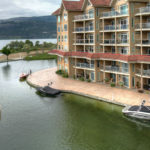 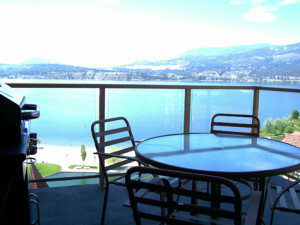 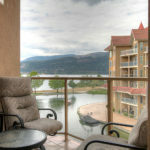 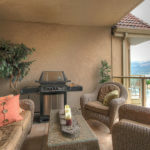 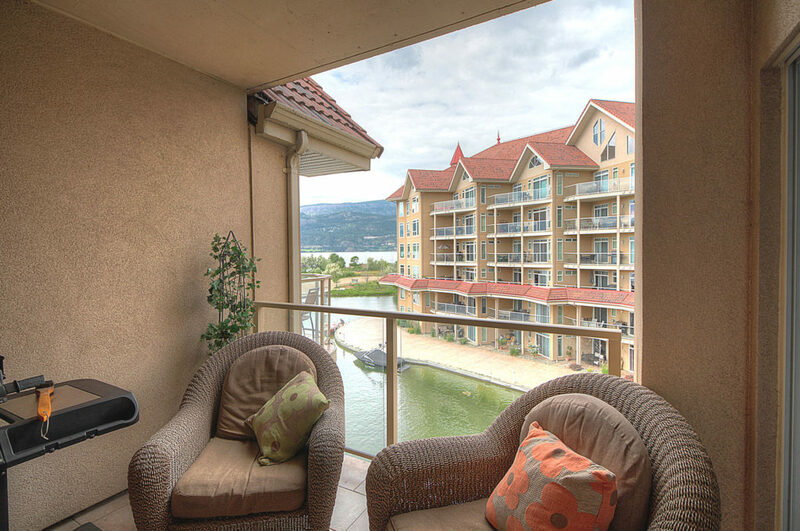 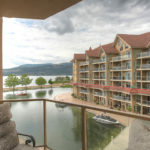 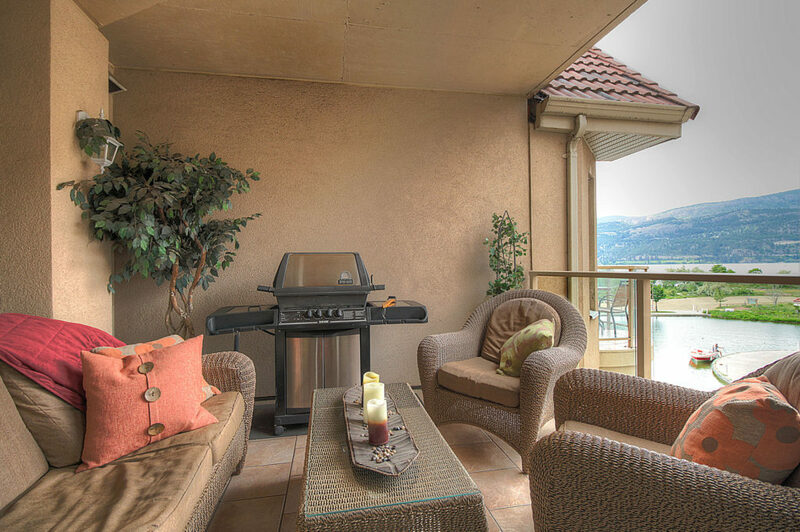 North facing, with views from both decks westerly to Lake Okanagan will provide ample time to people watch or take in a healthy beverage whilst watching a summers day pass by. 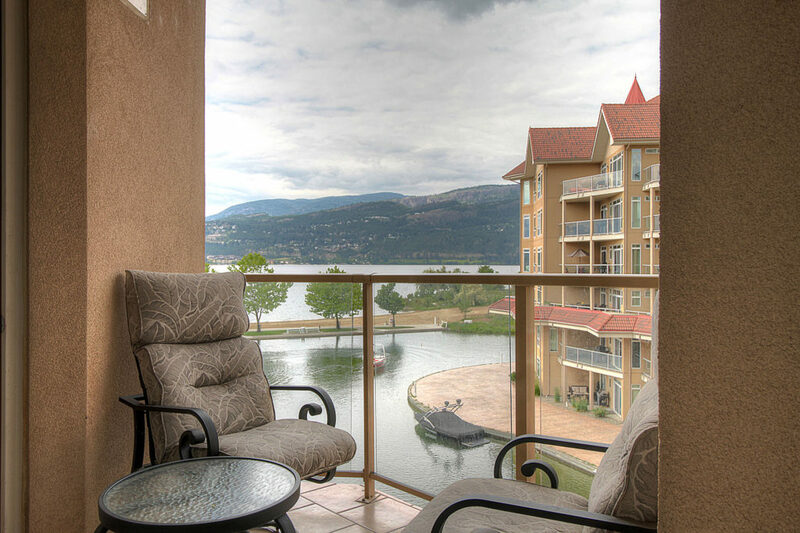 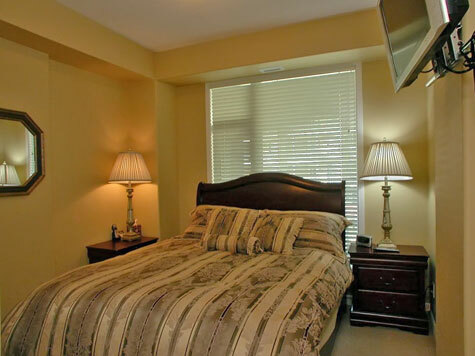 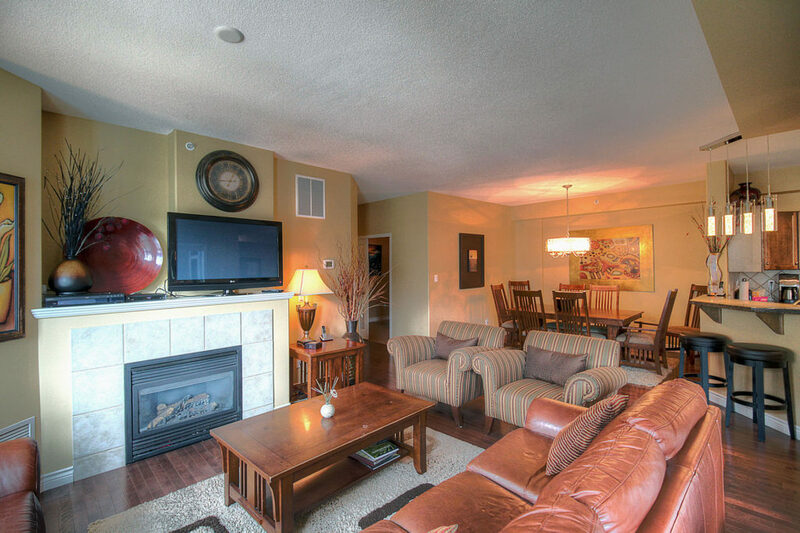 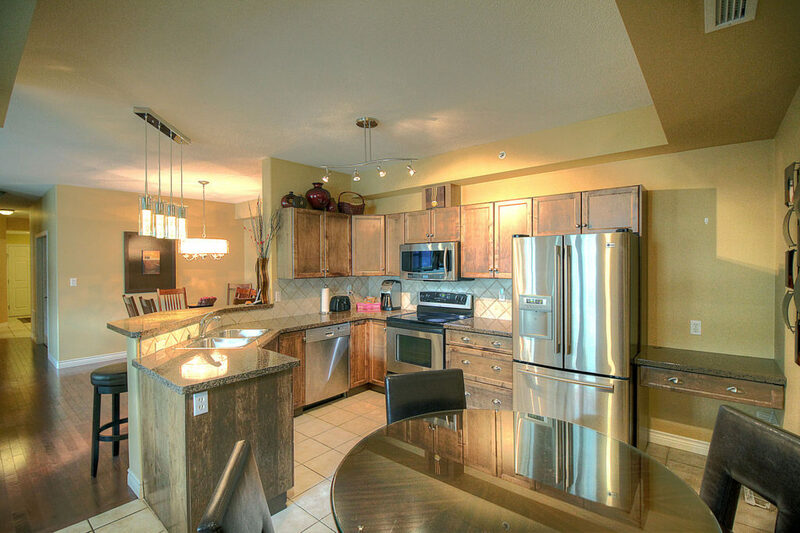 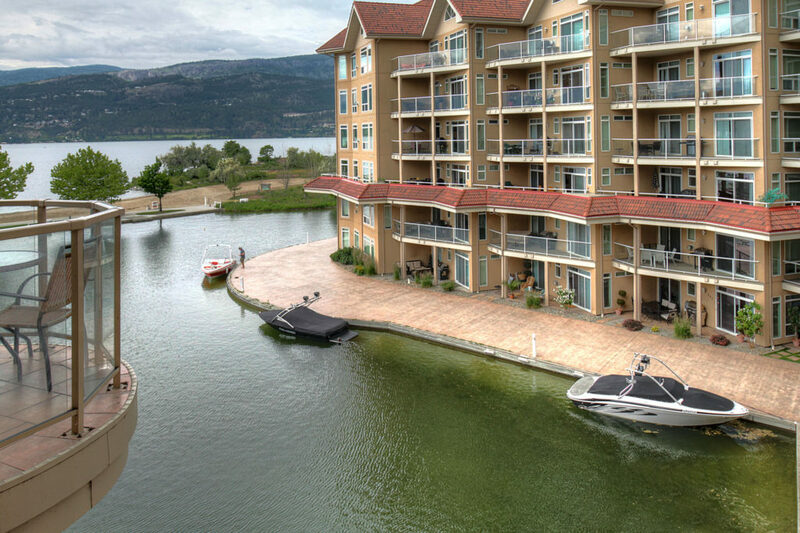 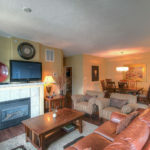 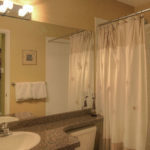 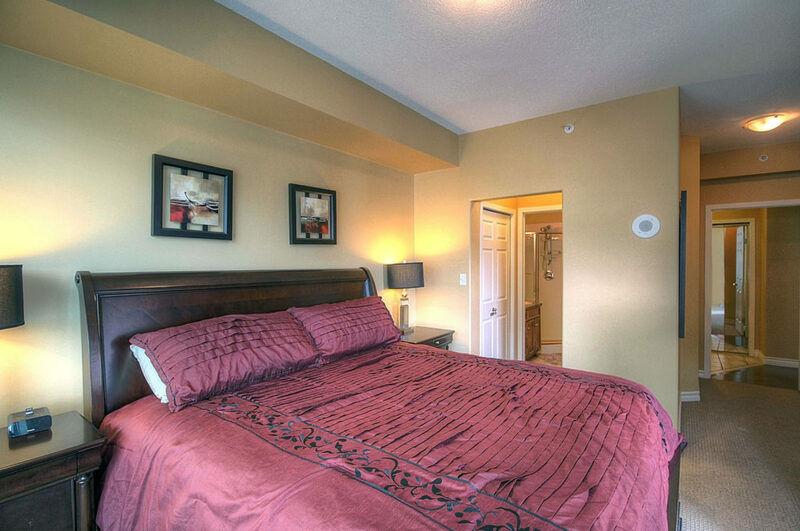 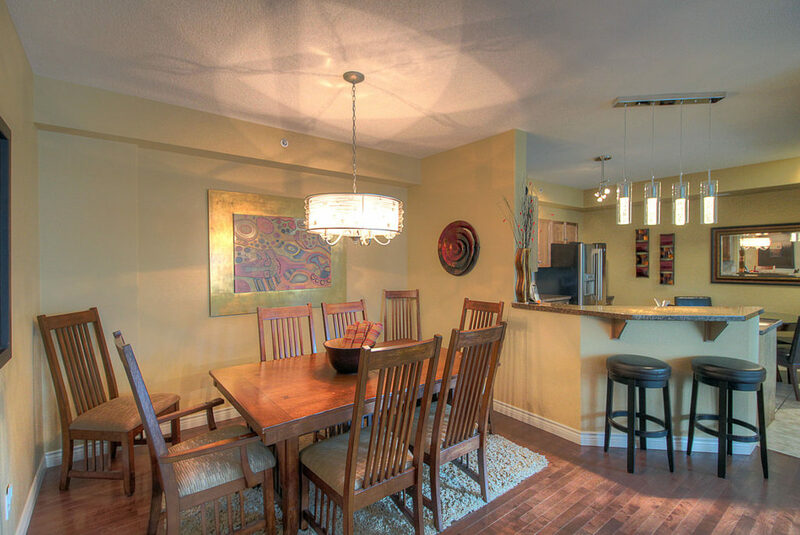 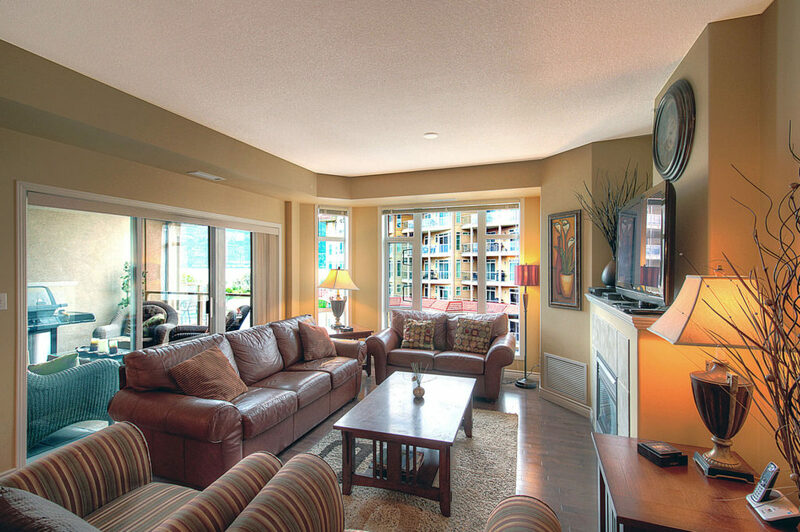 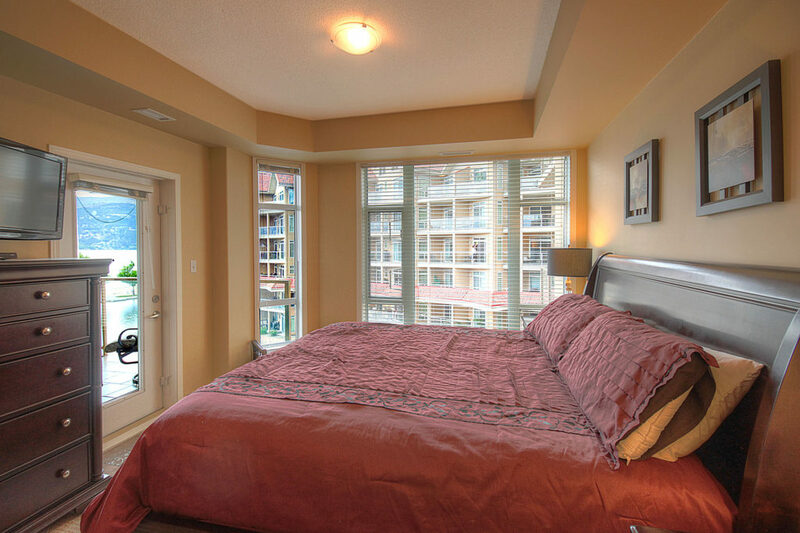 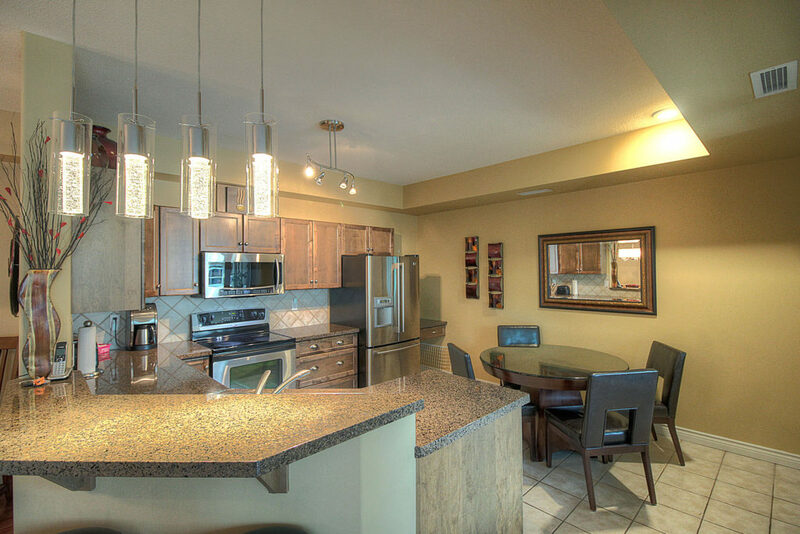 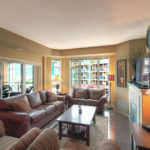 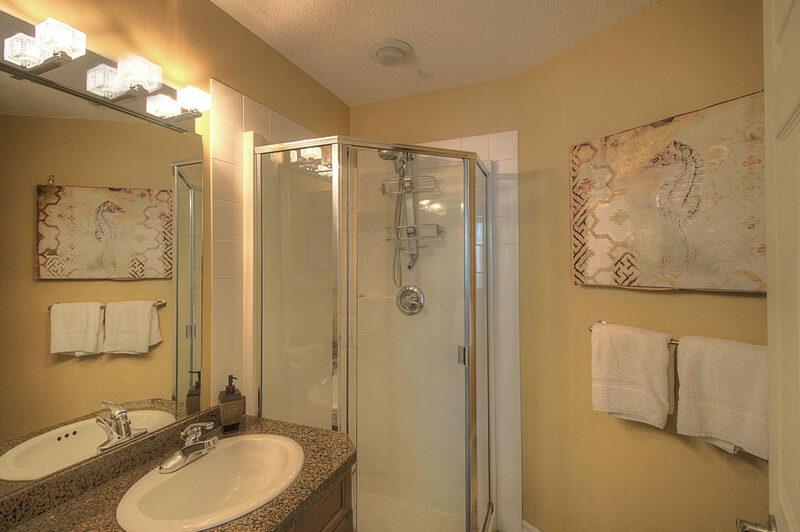 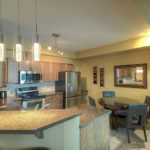 TV’s in each bedroom as well as the living room with Wi-Fi lets you enjoy the Great Canadian Indoors if you feel so inclined, and after a full summers day on the nearby beach or dinner cruise will recharge the batteries for another adventuresome day in and around Kelowna. 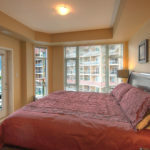 A great Casino offers slot and table games only 5 minutes’ walk away, and if you feel the need to bet on the horses, then owner of this suite may just give you a lift to Chances (anther slot casino with BINGO!) 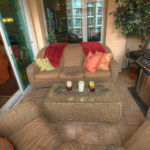 to lay your wager – just don’t get caught in Longshots Lounge bar for too long or your significant other may report you missing to the local gendarmery.